Happy Birthday to George Garvin Brown. 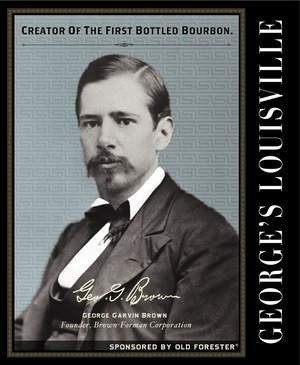 The founder of Brown-Forman Corp. and Old Forester, the first bourbon to be sold only in bottles, was born Sept. 2, 1846. In his honor, Brown-Forman has released a limited-edition Old Forester Birthday Bourbon every year since 2002. This year’s edition is very good, with big vanilla and caramel flavors. It was released earlier than usual and is selling like crazy, so if you want some, act fast! One Response to Happy Birthday, George!